Green fillers used depend on local availability and also on seasonal change. Size of lily depends on the species of lilies. 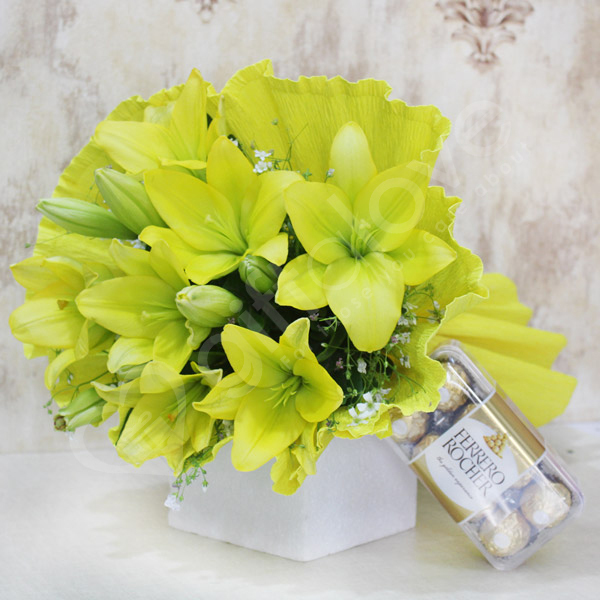 Lily develops from the bulb that can be located near the ground. Are you looking out for something very special for a special occasion to gift to your dear one? If that is the case, as this one is a fantabulous gift to choose as this can surely make the moment special. Don’t miss this chance to make your loved ones happy.